Midwest Broomball respects the privacy of our customers. The following privacy statement outlines what information we collect from our visitors, who has access to that information and how we utilize it. We do not provide e-mail addresses to third parties. 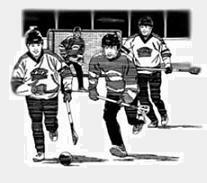 However, if you purchase merchandise through Midwest Broomball or if you are added to our catalog mailing list, your name and mailing address will be added to our mailing list and database. Midwest Broomball takes every precaution to protect our users' information. When you submit sensitive information via the website, your information is protected both online and off-line. While we use SSL encryption to protect sensitive information online, we also do everything in our power to protect user information off-line. All of our users' information, not just the sensitive information mentioned above, is restricted in our offices. Only employees who need the information to perform a specific job (for example, a customer service representative) are granted access to personally identifiable information. Furthermore, all employees are kept up-to-date on our security and privacy practices. Our employees are regularly notified and reminded about the importance we place on privacy, and what they can do to ensure our customers' information is protected. Finally, the servers on which we store personally identifiable information are kept in a secure environment. If you have questions about the security of our website, please contact us.